Knowing how to communicate effectively is a minimum requirement in sales. If you can't talk with people and get them to open up and share information with you, you're going to struggle to sell them anything. Assess your communication skills in the following areas to see where you're excelling and where you need a bit more work. Delivering a pre-written presentation effectively is a necessary part of the sales process. Can you give a prepared presentation without sounding stilted and unnatural? Can you handle questions without losing the flow? Can you incorporate factors that are important to a specific prospect? In most situations you'll have a sales presentation ready to go, but what if you meet a prospect unexpectedly and he wants to talk right now? Can you give a coherent version of your pitch without your prepared materials? At networking or industry events, can you talk about what you do in an appealing way? You'll need to improvise and make sure you can effectively get your message across on the spot. When you're cold calling or meeting new prospects, you have to build an instant connection between yourself and the stranger on the other end of the phone or in person. Can you interest someone within just a few seconds and make them ask for more? Can you start building rapport immediately so the prospect will trust you enough to make an appointment? Can you smoothly qualify a prospect over the phone? Can you close on getting an appointment? Most sales presentations and practically all trade shows and events involve a certain amount of small talk before you get down to the real action. Can you chat comfortably with near strangers? Can you make yourself likable? Can you use casual conversation to start qualifying and building rapport with prospects? In an ideal world, unhappy customers would always call up customer service or tech support to get their problems solved. But in this world, many customers prefer to call up their salesperson – he's the one they know best and the one they trust to fix things. Can you defuse an angry customer? Can you explain a tricky problem without upsetting the customer further? Can you apologize well for mistakes (yours or someone else's)? Collecting information is a crucial part of both qualifying a prospect and discovering the benefits that will make their eyes light up. Can you encourage people to talk? Can you ask questions without seeming like an interrogator? Can you make people comfortable sharing personal information with you? If you're making a complex sale with multiple decision makers, you'll probably end up speaking to all of them at once. B2B sales often have groups involved in the buying process, even when there's only one chief decision maker. Can you speak effectively to a group? 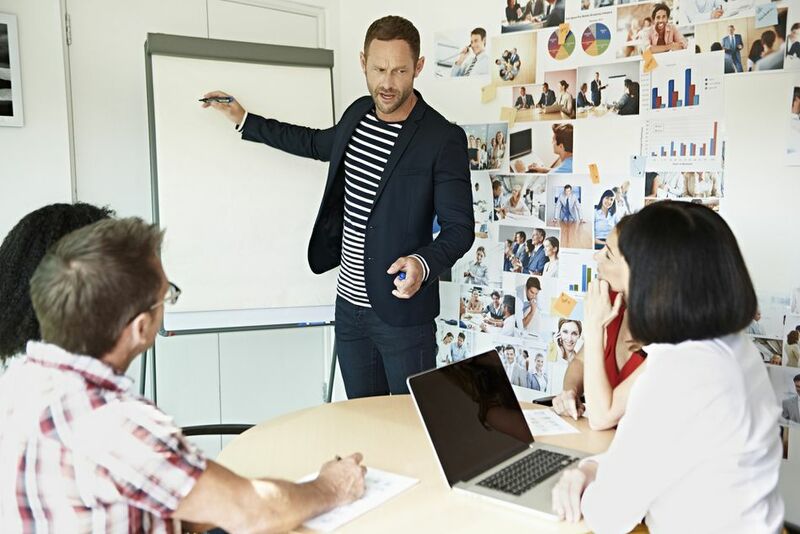 Can you keep the meeting on track without offending anyone? Can you make your audience feel like you're paying attention to each of them? Negotiation is a big part of sales. Every prospect wants the best possible deal, and you need to find a way to come to an agreement that leaves everyone happy. Can you come up with a good compromise? Can you tell when to stand firm and when to give in? Can you walk away from a negotiation when a prospect is being unreasonable? As a salesperson, you need to work well with your fellow salespeople, your sales manager, and with employees in other departments. Can you get along with people who have widely varying personalities? Can you keep open lines of communication with other departments? Can you handle workplace conflicts and bring them to a peaceful resolution?